With its modern and one of a kind design, Angelcare Bath Support is a very useful tool for every parent out there. If you are reluctant to use baby tubs because of their size or the fact that they are a bit difficult to maintain properly, this bath support might be suitable for you and your little one. Very easy to clean and also mold resistant. The seat molds to your baby. Not suitable for babies older than six months. Might not be the most budget-friendly option. Angelcare Bath Support is not your standard baby bath tub and you will love the fact that you can handle it easily and that there is no need for you to wash it thoroughly after every single use. Angelcare is known for their high-quality baby monitors so it comes as no surprise that they decided to expand their line and add a reliable bath support that can be used for providing your little one with the safest bath experience ever. Like the Angelcare Bath Support, for example. …providing your little one with the safest bath experience ever. The seat surface is mold resistant and all you need to do after you pull this bath support from the tub is to dry it well with a towel. The design is very straight forward and does not feature any bends or crevices that usually retain moisture. The base itself will connect properly to the bottom of your tub (it is heavy) and will not move at all during bath time. It is incredibly stable so you don’t have to worry about it slipping or turning on the side. Bathing a baby might be quite a task – you have to worry about the temperature of the water, the tub, and somehow manage to clean a soapy and slippery newborn. Angelcare Bath Support’s frame is made of firm plastic. The seat is sturdy and will react to the body shape of your little one, molding effortlessly around his or hers back for the comfort. …seat is sturdy and will react to the body shape of your little one. The seat material resembles mesh but it is way better and it lets the water flow freely around your baby while keeping them securely in place. The angle cannot be adjusted but it is perfect for small babies and infants because they can lay down and enjoy their bath time completely. They can also rest their lower body in the seat. You can use Angelcare Bath Support in a sink or a tub, depending on your personal preferences. Of course, it might not be suitable for every sink out there but it will certainly fit the majority of tubs. So if you don’t want to strain your back, using this support in a sink is perfectly fine. The exact size of this bath support is 23 x 13.2 x 8.9 inches. It is suitable for newborns and infants who are not older than six months and they have to weight under 30 pounds. So it might not be the best long-term solution but it is ideal for parents who want to simplify the bathing process in the first couple of months after the birth. …this bath support is 23 x 13.2 x 8.9 inches. If you tend to use different bathrooms in your home for bath time, Angelcare has you covered. This bath support has a carry handle on the top, it is not bulky, and you can easily store it. You can safely bring it along on your family vacation as well and it will not take too much space in the luggage! As we have previously mentioned, Angelcare Bath Support will fit every tub or sink in your home. It is not too bulky or difficult to install. You can also use it as a baby seat when you are on a beach with your little one so it will provide you with some extra options as well. …will fit every tub or sink in your home. The current price of Angelcare Bath Support has an MSRP of $29.99 which might look a bit too high for something that is not a full-size baby tub. 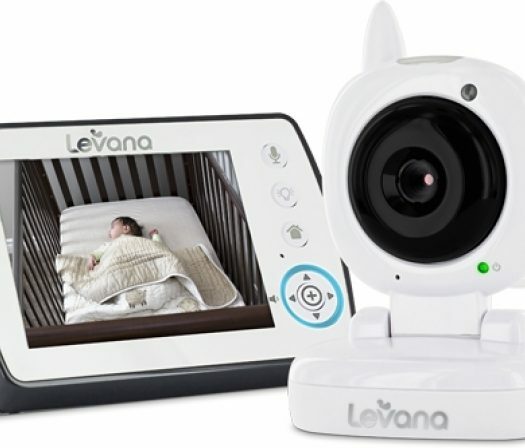 But it truly isn’t because you will get a versatile device that can be used anywhere in your home and provide your little one with amazing comfort in the first six months after they are born. But you can always find it for less through places like Amazon (Check it Out) and have it delivered right to your door. The materials which are used for constructing this bath support are very high-end and long-lasting. It will be in perfect condition even after six months of constant use. It is also super easy to clean because water goes straight through the plastic seat. Therefore, your little one will not be sitting in dirty water for minutes before you empty the tub. Angelcare Bath Support is built to last so you can be sure that if you store it properly, you can continue using this bath support in the future if you plan on expanding your family one day. …super easy to clean because water goes straight through the plastic seat. As soon as it was introduced it was clear that Angelcare Bath Support is a unique baby care product that will make bath time much safer and comfortable. The very shape of this support is made to keep your little one securely in one place. The mesh-like plastic is very soft and will give full body support to a baby. The frame will not slide in the bathtub and it is safe to use in a sink as well! Of course, there are a couple of downsides, such as the fact that it is not made for babies who are over six months of age. But you might continue to use it if your little one is still under thirty pounds. The price might not be suitable for parents looking to buy a product they can use for at least a year. What makes this bath support so useful is the fact that it can be cleaned quickly and you can hang it to dry. It features handles so you can carry it around your home without any problems. This support will revolutionize the bath time and your little one will start enjoying it a lot more.